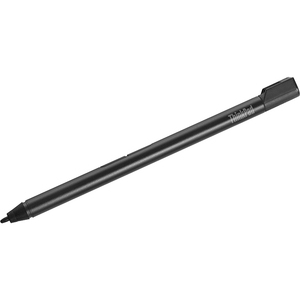 The ThinkPad Pro Pen-2 with 2048 levels of pressure sensitivity, it is an ideal input solution to give the user a precise content creation experience. Users will also enjoy easy access to right and left click buttons built into the shaft of the pen that provide additional tools for data interaction. This pen could be stored in the system's pen slot. With Rechargeable battery inside, user could easily to charge it in the pen slot.